The science journalist and TV host tells CBC Radio why she's chosen to defend Max Eisen's memoir of the Holocaust. Ziya Tong is a science journalist and TV host best known as the longtime co-anchor of the Discovery Channel's Daily Planet. She also hosted ZeD on CBC, earning a Gemini Award for viewer's choice for lifestyle host, and appeared on Wired Science, The Leading Edge and more. Tong is also the author of the forthcoming book The Reality Bubble. She is also a Canada Reads 2019 panellist, defending Max Eisen's memoir By Chance Alone. 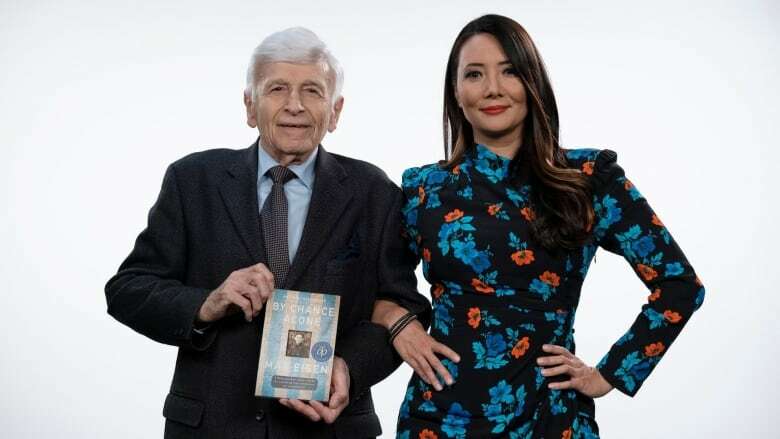 On Jan. 31, CBC Books revealed the 2019 contenders. On CBC Radio's q and on Here and Now with Reshmi Nair, Tong talked about why she chose By Chance Alone and why she's taking part in Canada Reads. "By Chance Alone details Max Eisen's life and his experiences going through the Holocaust. It's not an easy read, I'll tell you that. What's interesting is that Max and Anne Frank were born in the same year. And Anne Frank didn't live to tell that tale, but Max did. He writes in such a vivid and clear style that you feel like you're watching a movie. You can see what he sees and hear what he hears and smell what he smells. That's how vivid the imagery is in this book. He transports you. And of course, we're living in somewhat dark times so this is an incredible, important read." It is a powerful reminder of what happens when we see the signs around us but choose to look away. "The minute I met Max my eyes started welling up and stinging because this isn't just a book; it's his life. He's living history and he's survived all of this. When you read the book you will find it absolutely unbelievable, but at the same time it's a total and complete page-turner. You can't put it down. To have a chance to meet with him made me so grateful that he survived. This book moved me enough that I came back to Canada to defend it. "This book was the last dying request of Max's father. Just before he was taken off for medical experimentation, his father said to him, 'Max, please tell the world about this.' I feel very committed to him, and I feel a very deep responsibility for making sure this book gets read. This book moved me not only figuratively, but literally. I was on the other side of the planet when I read this book. I was about to go on a trip with my father to my grandfather's village to find out where I came from. This book moved me enough that I came back to Canada to defend it." Ziya Tong's comments have been edited for length and clarity.